Mozilla Firefox is a popular browser which is used by millions worldwide. There are several Firefox add-ons which improve music listening experience. They come in different forms from enabling you to control your online or desktop media player, to helping you fill in music to your album collection. Some also aid in tweeting current song to Twitter followers and sharing music on Facebook. However, audio equalizers on the other hand make it easy to change the balance of frequency components of playing audio. Hence, audio equalizer for Firefox makes it easier to adjust the frequency from within Mozilla Firefox web browser. 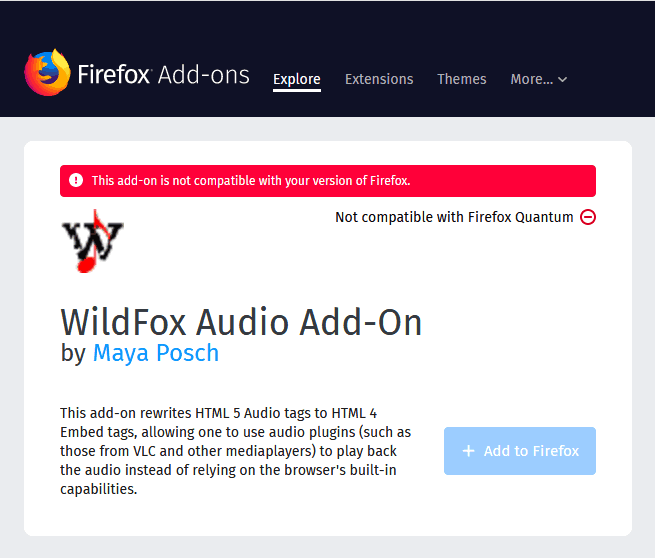 WildFox is one of the most downloaded audio equalizer for Firefox. If you want an audio equalizer that enables you to play any embedded video, then WildFox is the ideal equalizer to choose from. In addition, WildFox works efficiently with media players such as Windows Media Player, Adobe Media Player and VLC Mozilla Firefox add-ons. Cannot switch resolutions (streams) dynamically. Make sure the proper stream is started by default. Does not work with Media Source Extensions (MSE) video tags, disable MSE in the browser for this. In recent Firefox versions (50+), browser plugins are no longer supported, making it impossible to use embed/object-based tags any more. Use an older Firefox version to regain functionality. 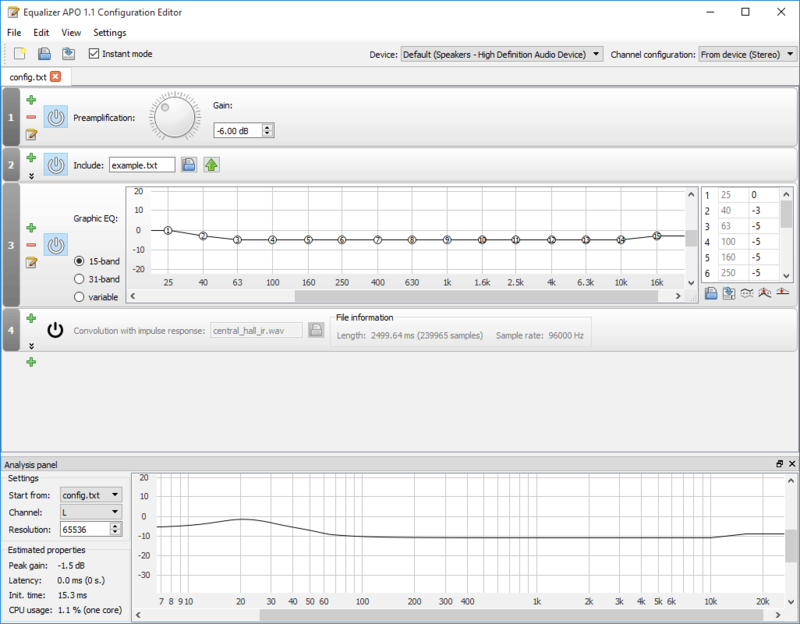 Furthermore, Equalizer APO best used in conjunction with Room EQ Wizard, because it can read its filter text file format. Also, it is compatible with Windows OS such as Windows Vista, Windows 7, 8, 8.1, and 10. If you want instructions on installation and configuration, visit the official wiki site. Saving the best for the last, Peace Equalizer combines the functionalities of an equalizer and audio mixer together. 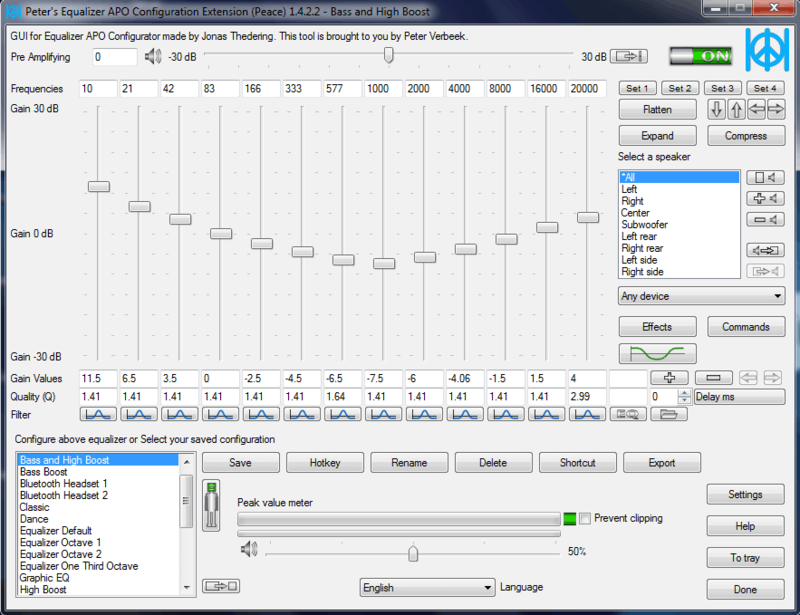 This audio equalizer for Firefox has an effects panel, a graph window and GUI. Dance, rock, classic, bass boost, custom presets, and many more. In addition, Peace Equalizer supports the following languages: English, Czech, Deutsch, Dutch, Italian, and Russian. Also, Peace Equalizer is compatible with several Windows OS such as Windows Vista, Windows 7, 8, 8.1, and 10. RELATED: How to fix slow Mozilla Firefox on Windows 10? Furthermore, your configuration (e.g. EQ, preset, profile) can be saved and activated again by 1-click, hotkey, tray or desktop shortcut. However, some antivirus software may detect PeaceSetup.exe or Peace.exe as virus; this is a false positive. In conclusion, this list of best audio equalizer for Firefox is not complete as we do expect more add-ons from Firefox add-ons repository. However, you may be interested in Graphical Equalizer.